This is one of the games I was referring to the other day when I said I needed to catch up on Steam games. 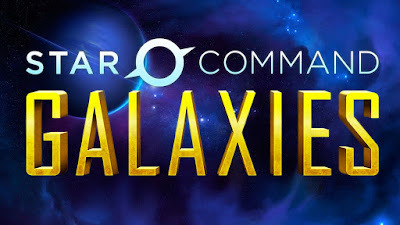 Star Command Galaxies is a game I Kickstarted. It just released in early access to backers so I grabbed my key and jumped in. The premise of the game is great. You're the captain of a starship and you get to explore the galaxy doing whatever you want. The execution of the game leaves a lot to be desired. The tutorial is mostly broken, and super boring. But jumping into the main game without being able to do the tutorial means that nothing quite makes sense. It just feels clunky and broken. I know that it's still early days for this game. It even says Alpha right on the info on Steam. I hope it gets better, because my short time with the game was nothing but frustration. Star Command Galaxies is going way onto the backburner until it gets itself figured out. Hopefully this game will be interesting eventually. For now, stay far away from it.